Driven by a passion for electronics from a very young age, and a life principle of never junking anything unless it is hopelessly and irrecoverably useless, we began dealing in vacuum tubes in 1998. A first primitive web-site followed in 2001, with a more elaborate site online with tube lists in 2005. Small acquisitions of vacuum tubes from businesses locally, and from personal collections and enthusiasts, were balanced by direct sales locally, and online sales over an increasingly large geographic area. 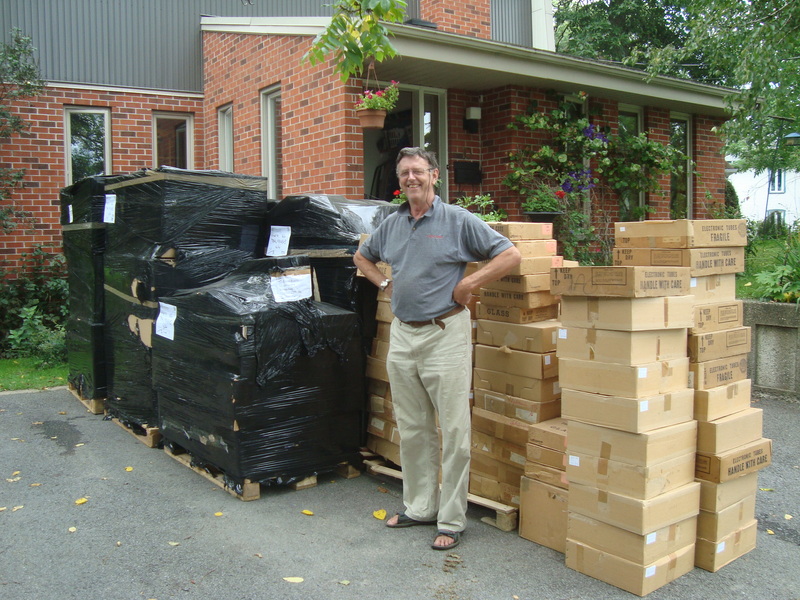 In 2011, after finally sorting and cataloging the W.J. Ford acquisition of tubes, we opened a new and improved website. Whether you are in Melbourne, Marseilles ou Mumbai, we supply our friends on every continent on the planet with top quality and often hard to find vacuum tubes. This includes audio, ham radio, and electronic enthusiasts, TV and radio stations, medical suppliers, universities, colleges, museums, repair shops, and businesses. In 2016, thanks to the Micronetics acquisition of tubes, and continually combing the earth for tube opportunities, you have an even more sophisticated website with multiple options, and access to the most refined know-how and testing facilities. We are now able to offer on a fully searchable web-site, one of the most diverse and complete offerings of vacuum tubes on the market today, with tubes ranging from the dawn of radio to current production tubes.